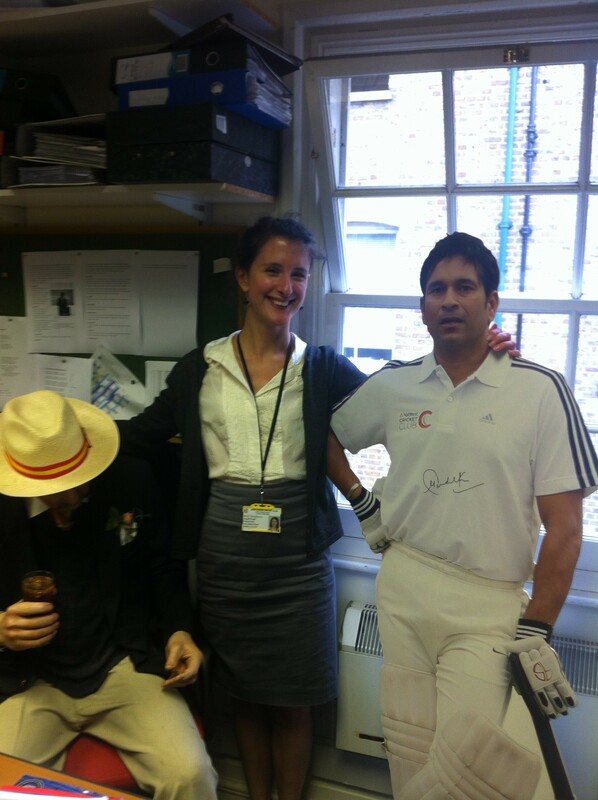 Today is my last day working at Lord’s. I’m off to a new job at Southwark Council. 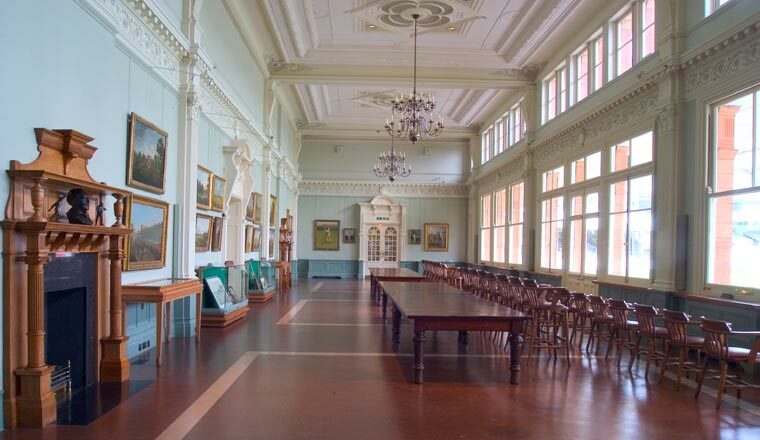 Being in the long room on match days is a real pinch yourself/shivers down the spine moment, probably for everyone, but particularly for someone who is never ever going to be a member of the MCC. During most matches I find an excuse to pop across, taking some leaflets or making a vital check that the paintings are hanging straight! My favourite moment by far was seeing Strauss and Cook go out to bat on the first morning of my first test at Lord’s. It’s just a bit busier than this on match days. 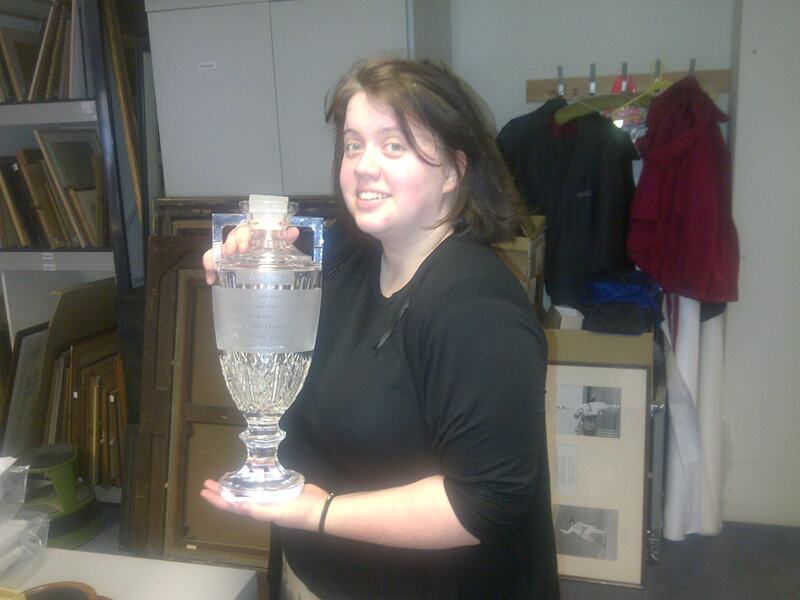 Less obvious perhaps – but I think my very favourite thing about being at Lord’s has been working with the collection. I’m really proud of the progress I’ve made getting it catalogued and in some kind of order and I’ve loved all the unexpected ‘gems’ I’ve found along the way. You can see some of the results of my work, and that of the rest of the cataloguing team, on our on-line catalogue. (http://mcc.adlibhosting.com/). New entries are being added all the time. 3. Taking the Field visits. Running Taking the Field has been fabulous all round, but I especially enjoyed getting out there and visiting some of the clubs. 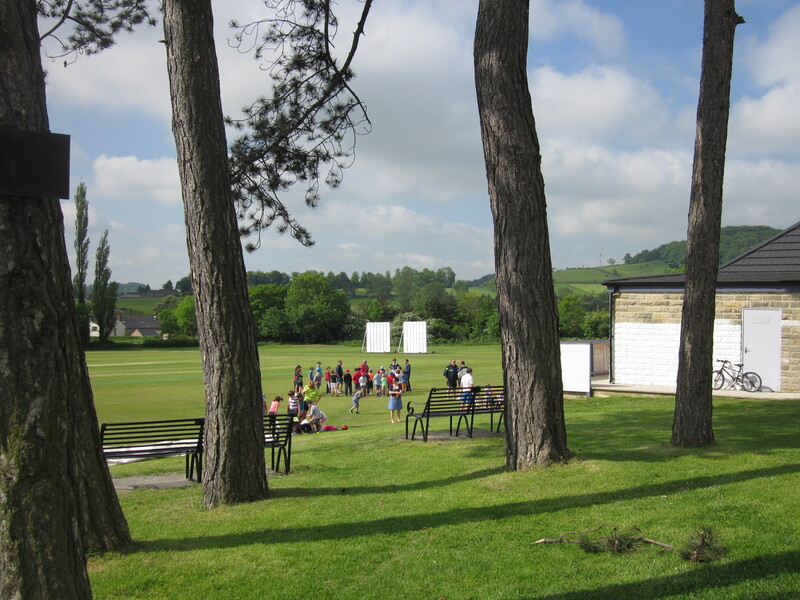 Particular highlights were the beautiful Wirksworth and Middleton in Derbyshire (www.takingthefield.com/clubs/wirksworth-middleton-cricket-club) and warm, friendly Ovington in York (www.takingthefield.com/clubs/ovington-cricket-club). Ovington playing on the Knavesmire. 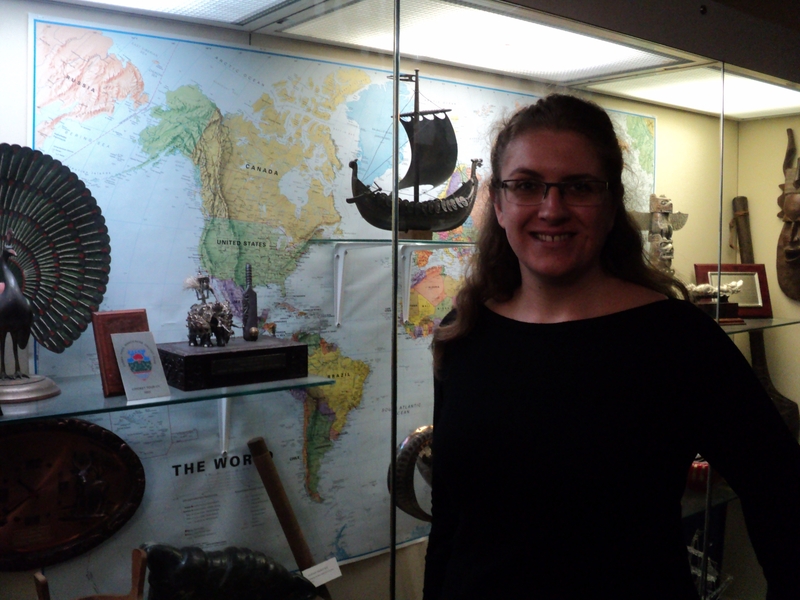 It was hot and sunny every time I went there – convincing me that it must always be like that in York. Wirksworth & MIddleton. They had the most vibrant youth section I saw anywhere and are based in such a beautiful part of the country. 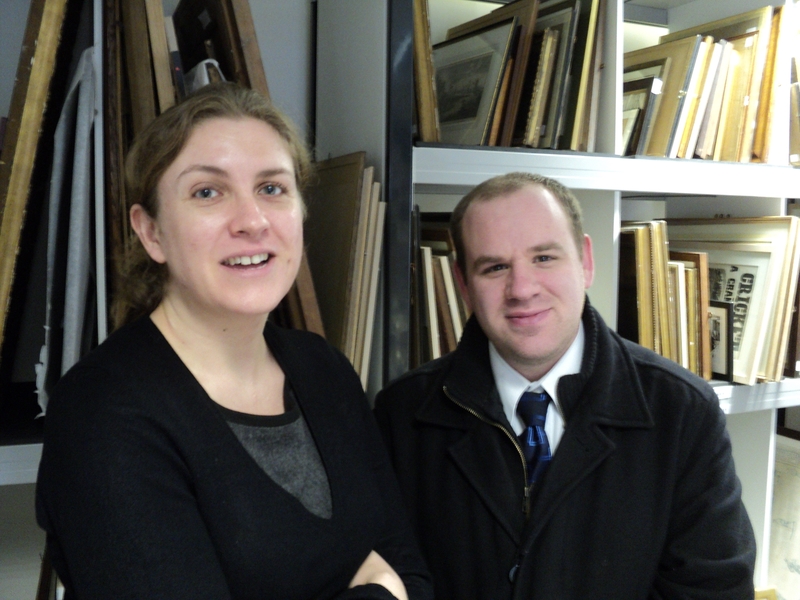 Here’s me with Rob our superstar archivist who I’m going to miss loads. 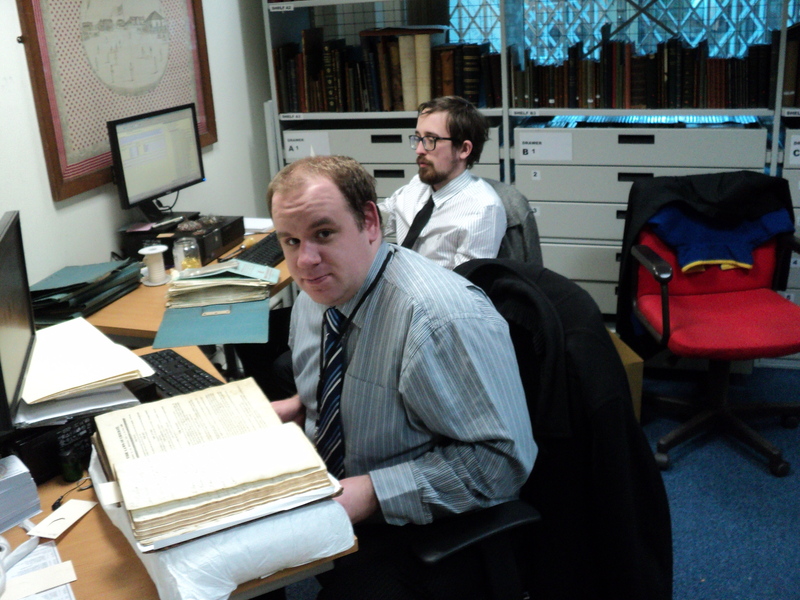 Rob at work with Alan the other archivist. 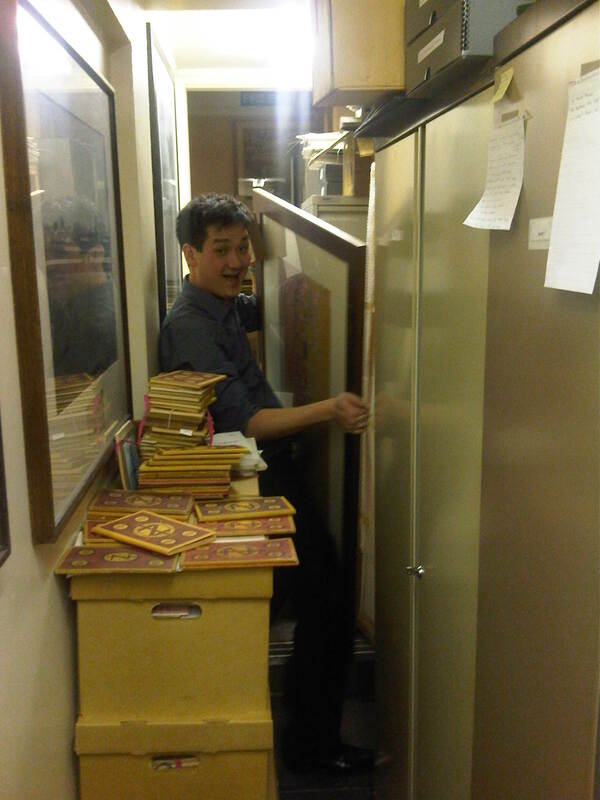 Andrew, my fellow librarian. We formed a life long bond working together for the first few months crammed into a long narrow windowless corridor full of cardboard boxes of unsorted uncatalgued annuals. Liz, a dedicated and knowledgable cricket fan and fantastic cricket photographer. 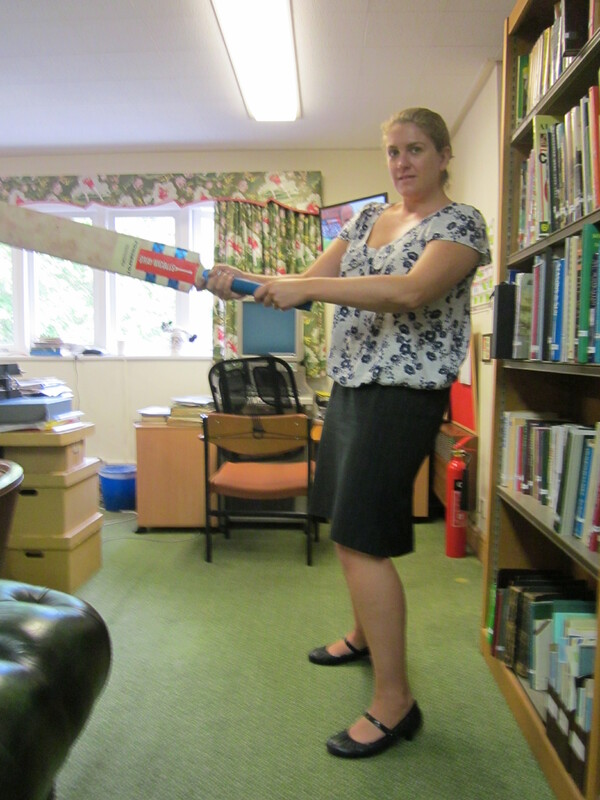 Rowan, a former archivist who knew absolutely nothing about cricket. So little that when we were once talking about where to put the model of Sachin Tendulkar she thought we were referring to the man to her right wearing the hat! 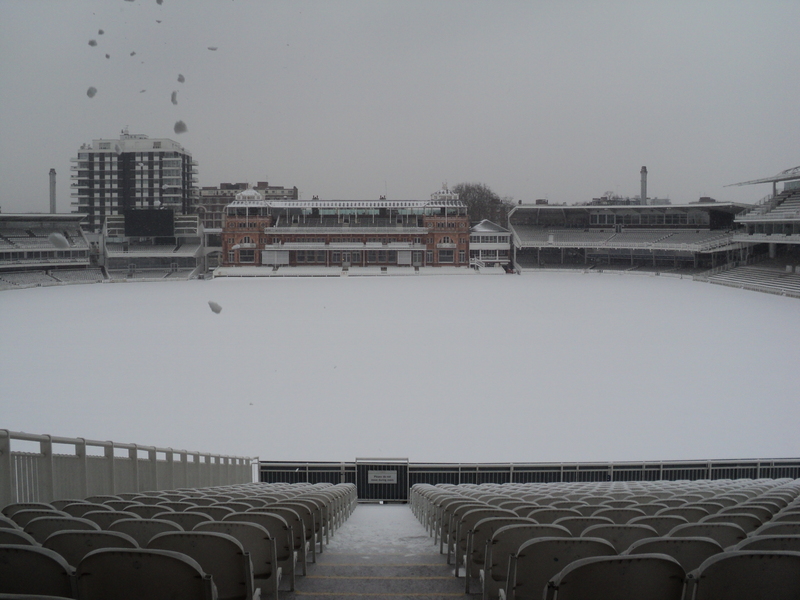 There’s nothing quite like watching cricket at Lord’s on a beautiful summers day, but when you see the ground in mid-winter you feel like you’re really part of the place and are getting a proper behind the scenes view. I am sad I won’t get to experience that again this year. So goodbye to Lord’s and goodbye to everyone following my blog. Last week I had my first go at cricket. I’m 35 years old and have been a cricket fan for 8 years but until last week had never bowled, caught or hit a ball. I have never intentionally avoided it, the opportunity just never arose, we didn’t play cricket at school, I never came across any friends playing in the park. I’ve actually been eager to have a go for sometime, but until now have never known anyone who has the gear. So how did it go? Well I wasn’t very good! The batting was OK, although I think my friend was bowling quite easy ones at me, I did really enjoy the batting I loved the feel and sound of leather striking willow with a nice firm thwack, and didn’t even mind that I ended up with bruises all over my right palm (probably due to poor technique). The bowling was way harder. It feels so weird having to keep your arm straight. I founding attempting a run up too difficult, running while doing a windmill thing with my arms – my limbs wouldn’t stay coordinated. I tried it without a run up but couldn’t seem to generate enough power to get the ball all the way down the pitch (22 yards is actually a really long way). My friend eventually gave up trying to teach me a run up and let me bowl my balls from half way down the pitch, which made it easier. I think I’m more of a batsman. So what’s next for my cricketing career? Have a left it too late to realise my obvious potential and take my talent on to the international stage? 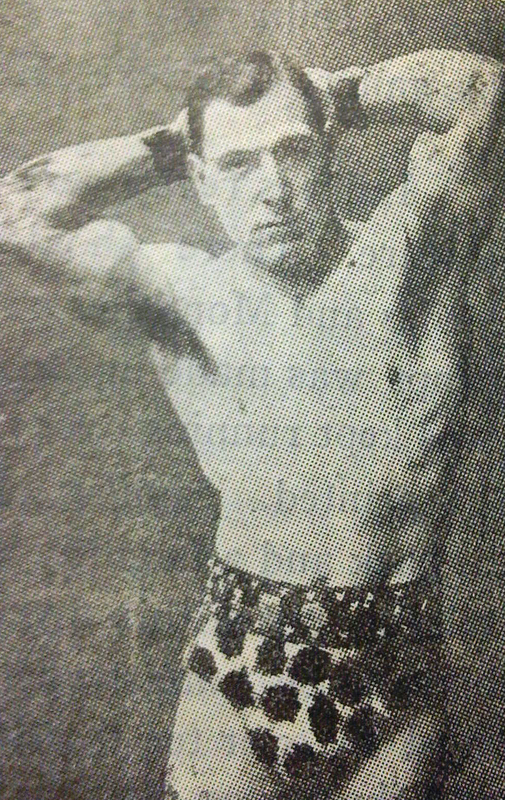 I would have thought so…until I came across James Southerton while cataloguing some old photographs. Our cataloguing team here at the MCC are working our way though a massive collection of old photos, some still currently completely uncatalogued. 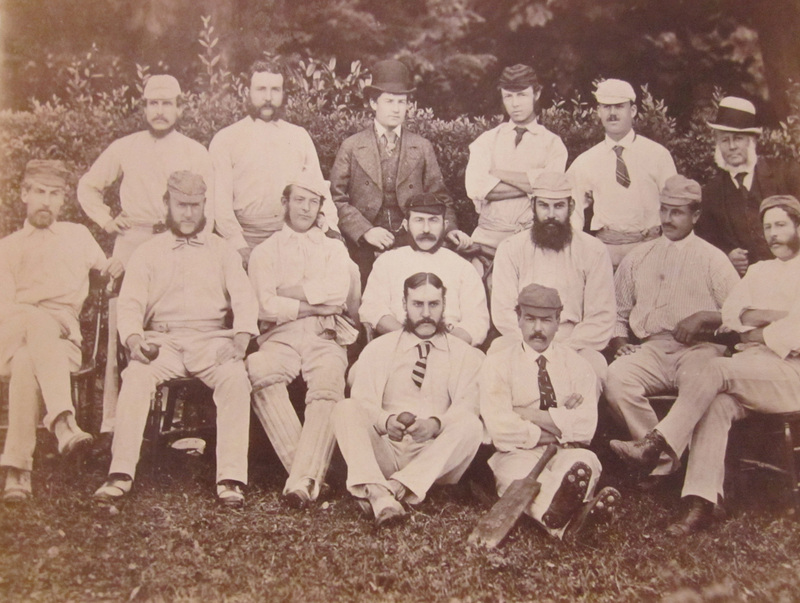 I’ve been working on this rather marvelous photo of the United South of England Eleven taken in 1875. 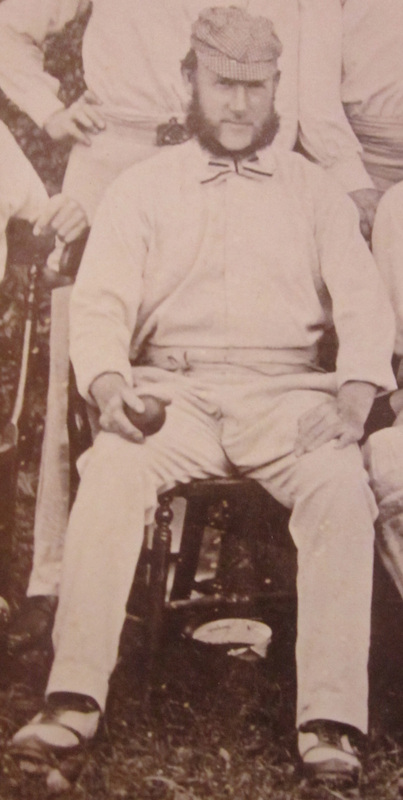 I was entering the details of all the figures onto our persons index and was very interested to read that James Southerton was (and remains) the oldest test debutant. He made his debut at the age of 49 years and 119 days! He did OK too, taking 3 wickets in a match against Australia, he also played in the following test before retiring from the international game to run a pub. The important thing is it means there’s hope for me. If I spend the next 15 years sorting out my bowling action, get my limbs coordinated and manage to get the ball all the way to the other end maybe I could be the one to break his record. It’s something to aim for. Wish me luck! James Southerton – he made his debut at an age that all international cricketers these days would have retired by! MCC needs you! (Well, your help recognising this picture any way). 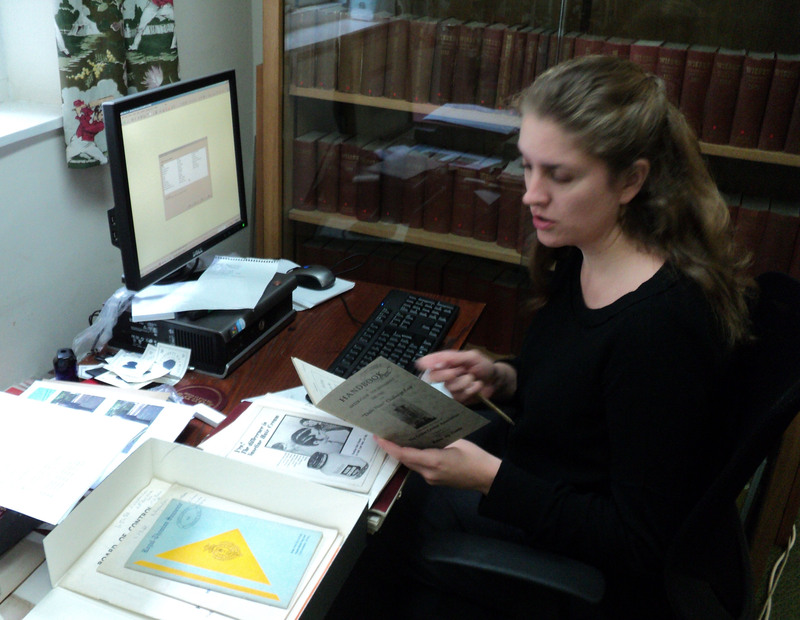 My colleagues in the archive are busy sorting and cataloguing Estates Department files from the 1930s to the 60s. The Estates Department deals with the grounds and properties of Lord’s and Alan was going through a wonderful box of material relating to the care of pitches and the construction of artificial pitches. 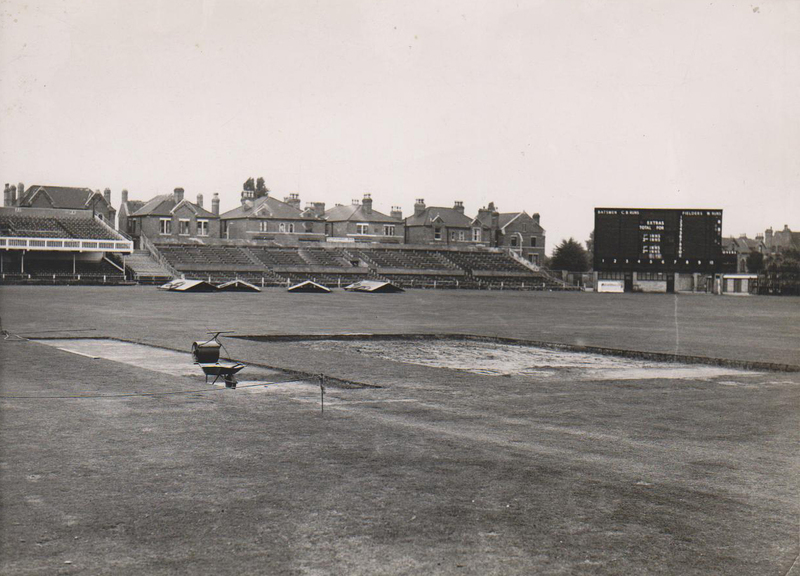 Among some photos of grounds staff testing out various rollers on the nursery ground he found the picture above, it’s not Lord’s so where is it? Can any of you help? 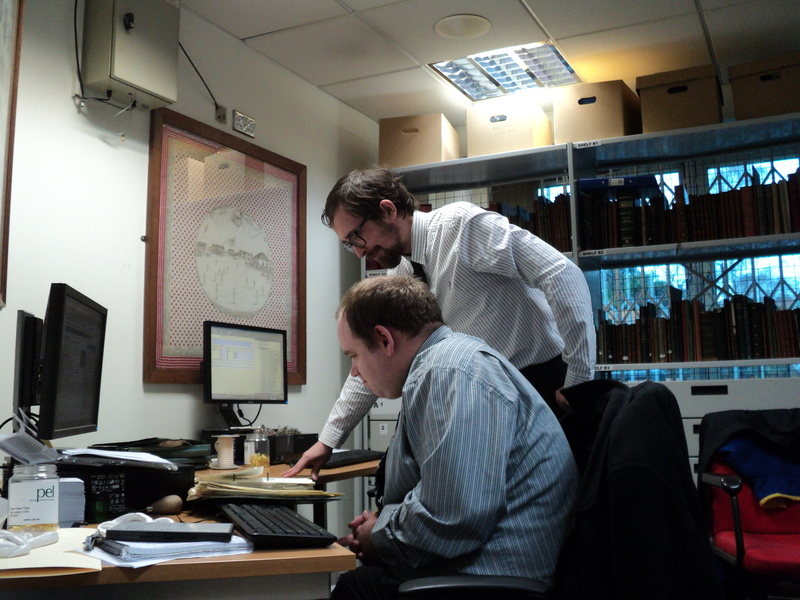 The sanity of the archiving team may depend on it! Baffled and confused – they need your help! If anyone can help us please send me a message. Haven’t had much time for the blog this last week as I’ve been beavering away with my cataloguing as well as battling a horrible cold and finding time to play with my bow and arrow. I’ve seen lots of interesting and baffling things in my brochures and annuals though. I’m always amazed by what books supposedly about cricket can actually tell you about the societies they’re written by, be it gender, race, class – all the big issues can be found somewhere in our cricket collection. This week what has stood out as a fascinating issue in my annuals is the changing ideal of masculinity. I have chosen to depict my findings through a pictorial collection of men in their underwear – enjoy! We start in the 1920’s with the ‘An-on’, the Onesie of it’s day. 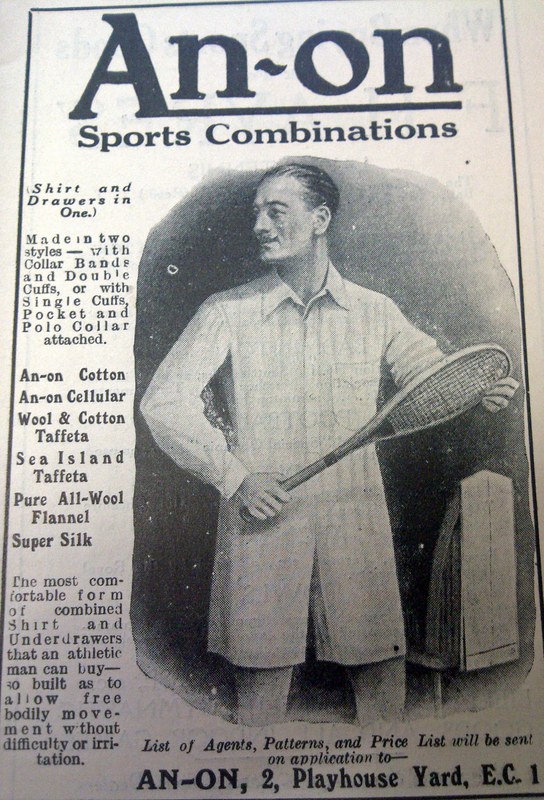 Note that the model demonstrates his masculinity with his manly moustache and is clearly an athletic gentlemen, also note the availability of ‘super silk’ for the sophisticated sensually inclined man. In the 1930’s the look is rawer, more minimalist and assertive. This man shows his confidence with his revealing undergarments, flaunts his manly figure with his stance and challenges us with his forceful, almost confrontational facial expression. By the early 1960s things had changed once more, we now have a man at ease with himself and fully in touch with his feminine side. The image suggests he is far more concerned with avoiding ‘flaccid elastic’ than with proving his masculinity. So what have we learnt? Any comments? Busy week here at Lord’s, although I’ve had to spend most of my time working on the catalogue and have had very little time to give to TTF. 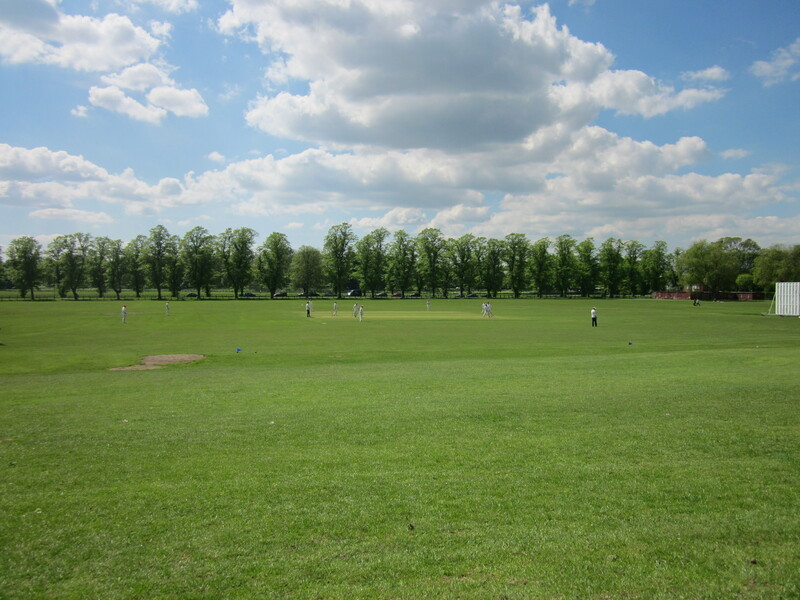 I’m especially grateful, therefore, to Andrew Black at Montgomery Cricket Club (http://www.takingthefield.com/clubs/montgomery-cricket-club) who’s created some fabulous videos for the website without me having to do any work at all! Please take a look at them, the one about the glacier mints is my favourite. While Andrew Black is doing all my work for me on the website I’m slaving away with the catalogue. My manager gave me a friendly reminder this week that all library material needs to be ready to go online by February. There are 142 boxes of material still to catalogue and I’m currently working at a rate of 2 boxes per week – you don’t need to be a mathematical genius to work out that means I seriously have to speed up! So for the next few weeks there will be less listening to cricketing memories and less creation of digital stories and more of me tied to my desk trawling through box after box of annuals, periodicals and programmes recording vital information like how many pages each booklet has, how big it is and who printed it and where etc. 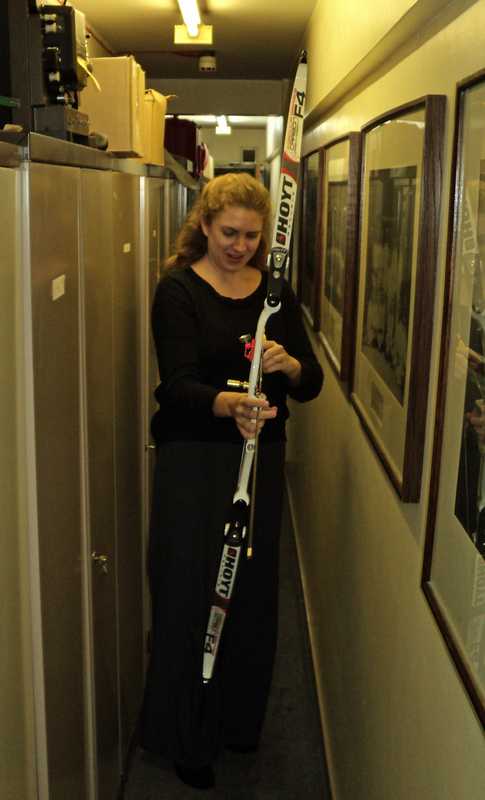 Before they can go on the catalogue all objects have to be carefully measured by our Measuring Officer Linda Gordon. 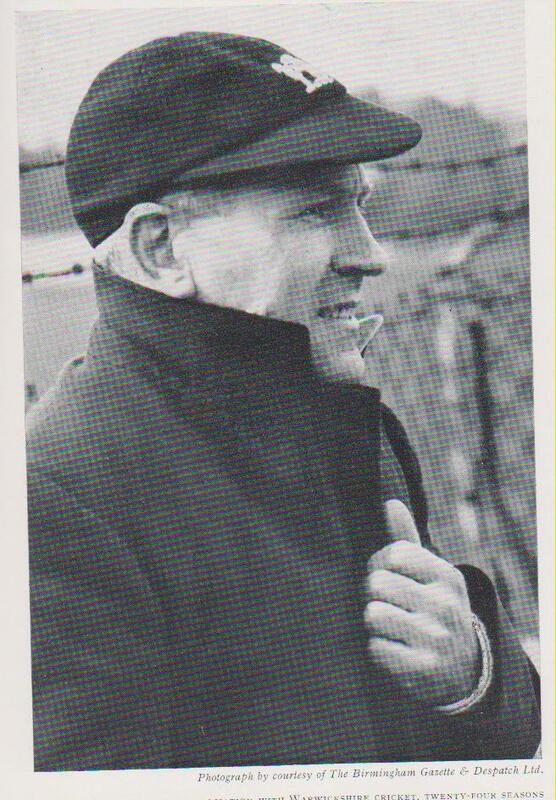 Better get back to the coal face, need to catalogue about 500 more match programmes by the end of today if I want to stay on track! Women: central to a cricket club? Something that has struck me in listening to the Taking the Field stories is how central women have always been to most of the clubs, these days clubs have thriving girls and women’s teams but in the past women were also important as spectators, administrators or for under taking the vitally important role of making the cricket tea! Here at the MCC women have not had such a central role for quite as long as shown in this very sweet letter found by MCC archivist Robert Curphey among the secretaries correspondence. A copy of the reply was found along side. I’m not sure I like the way he agrees that her ‘friends are entirely correct’ – thus she is foolish! Guess she’s had the last laugh as Betty Archdale, Edna Barker, Audrey Collins, Carole Cornthwaite, Jackie Court, Rachael Heyhoe-Flint, Sheila Hill, Norma Izard, Diana Rait Kerr and Netta Rheinberg became the first honorary lady members in 1999. It makes me feel very sad that women had to wait until 1999 to be allowed to become members of the MCC, but I suppose perhaps I should just celebrate that we got there in the end, though I wish it had been in time for Madeline Gale to get her dearest wish. (Letters supplied by Robert Curphey at the MCC Archive. Photograph of ‘Miss Cricket Queen’ from Yorkshire County Cricket Club: American tour 1964, supplied by MCC Library). Makes it all worth while. 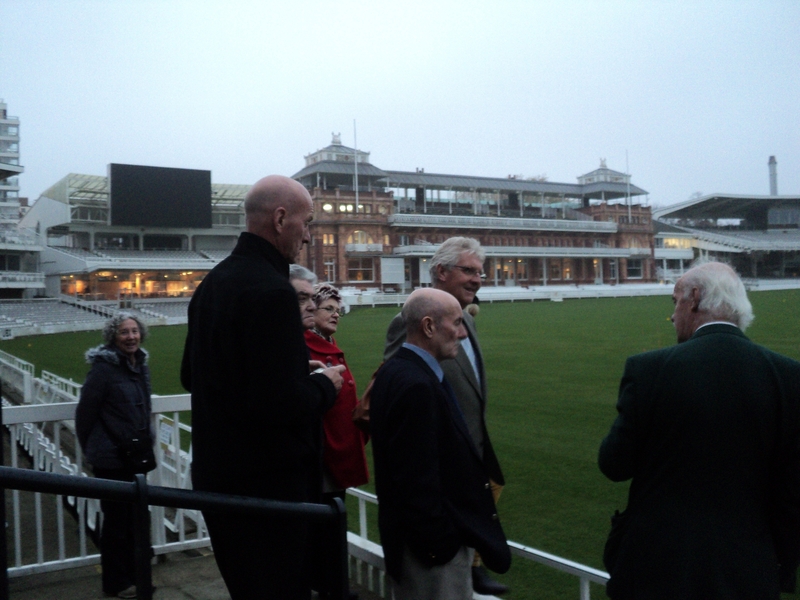 On a more positive note Spondon CC came down for a tour of Lord’s on Friday. It was great to meet them and put faces to voices. Thankfully the librarianship side of my role has been going well this week. Had a lovely little task to do today. A teenage boy was trying to find a photo of his Great-Grandfather who he thought had played cricket but he didn’t know any details. 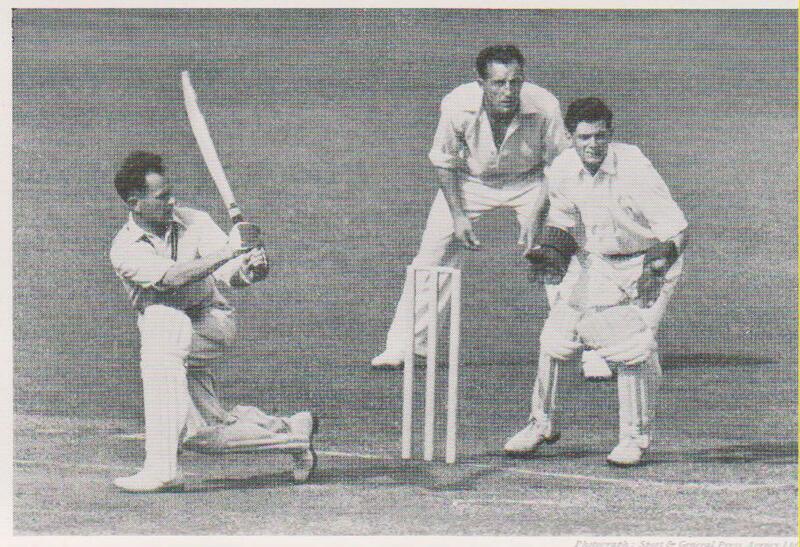 I found the basics about the guy on cricinfo http://www.espncricinfo.com/ci/content/player/18323.html but not much except that he’d played for Warwickshire in the 1940s and 50s, there was no trace of him on our catalogue. BUT using my remarkable research skills I was able to go to the box of Warwickshire annuals (county boxes arranged alphabetically) and then rifled around the annuals for that period (annuals arrange in strict chronological order within each box). I found some great pictures and was able to add his name to our catalogue and link it to those annuals, so if in the future his Great-Great-Great-Grandchild wants the info the futuristic robot librarian should be able to go straight there! It’s things like this that make me realise all that work was worth while, all those dark days (literally) in the windowless corridor asking myself – is it necessary to put annuals in chronological order? Why am I doing this? How much longer is this going to take? Why am I here? What’s the point of it all? All those questions were answered today by a little boy’s smile. 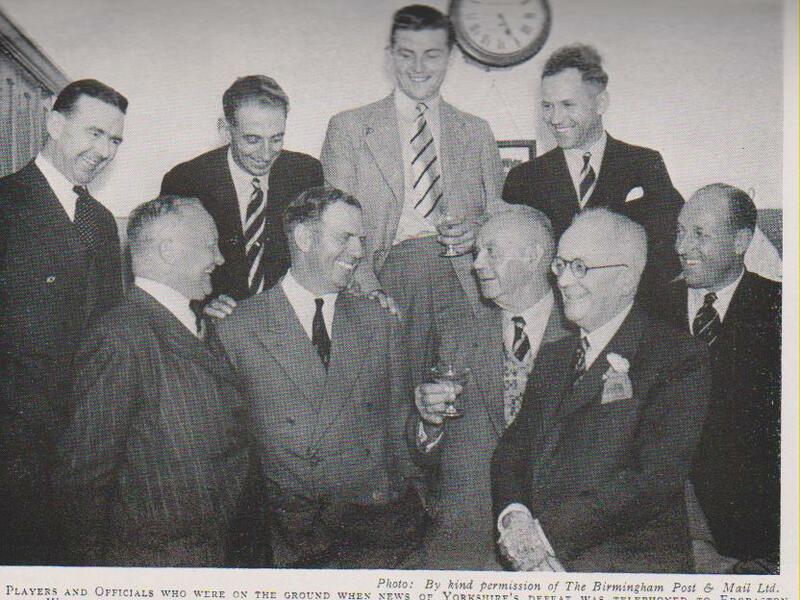 Ord top right at an event during his benefit year 1951. 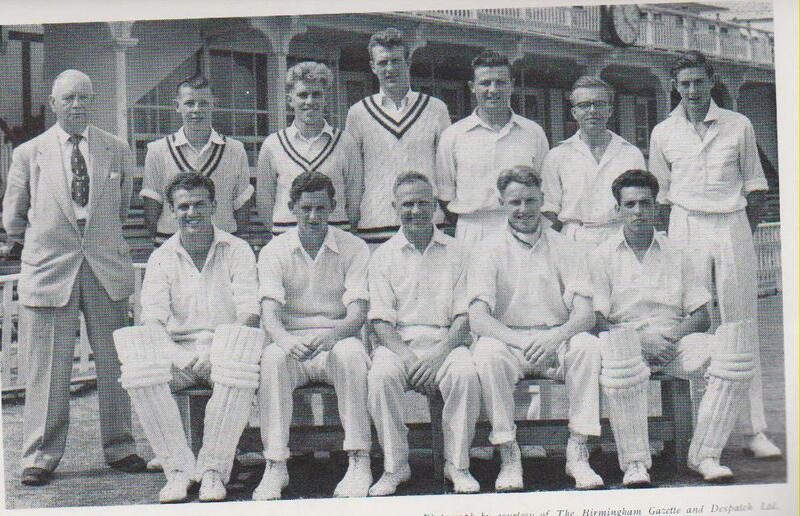 Ord bottom row centre, captaining the team 1955. Portrait to mark his retirement 1956. Better leave these more pleasant tasks and get back to my spam deleting – wish me luck!